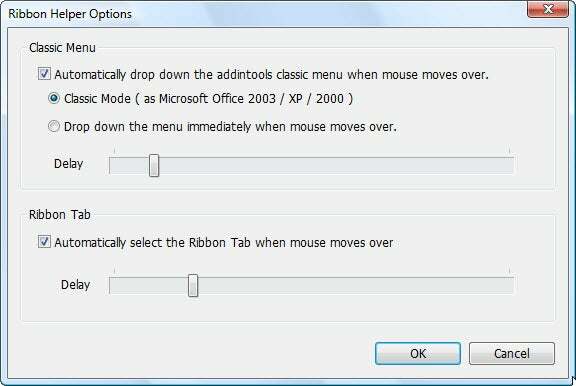 The Ribbon interface that Microsoft introduced with Office 2007--and refined in Office 2010--makes it easier to get at all of Office's features. But there's one small, annoying problem with it: When you want to go from one tab to another, you're forced to click that second tab, rather than merely moving your mouse over it. Office add-in Ribbon Helper for Office ($15) solves the problem. Ribbon Helper for Office lets you drop down Ribbon tabs by hovering over them rather than clicking.